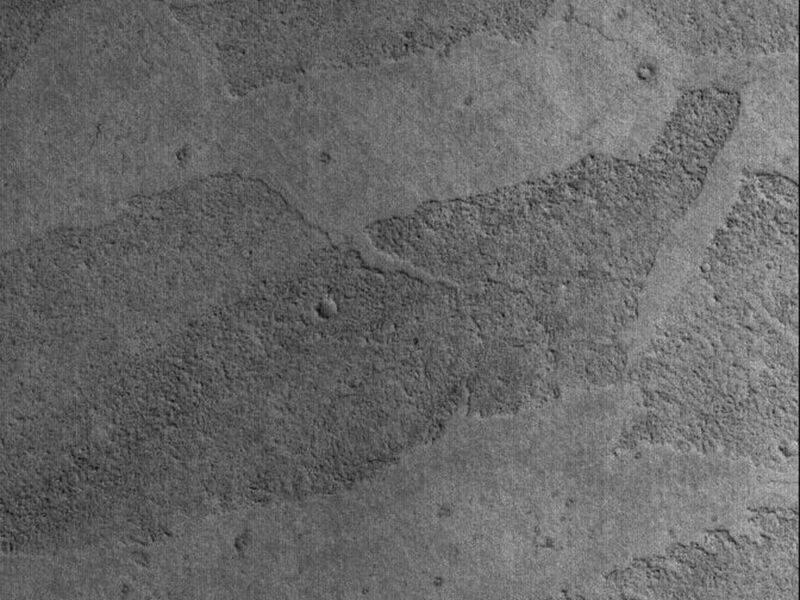 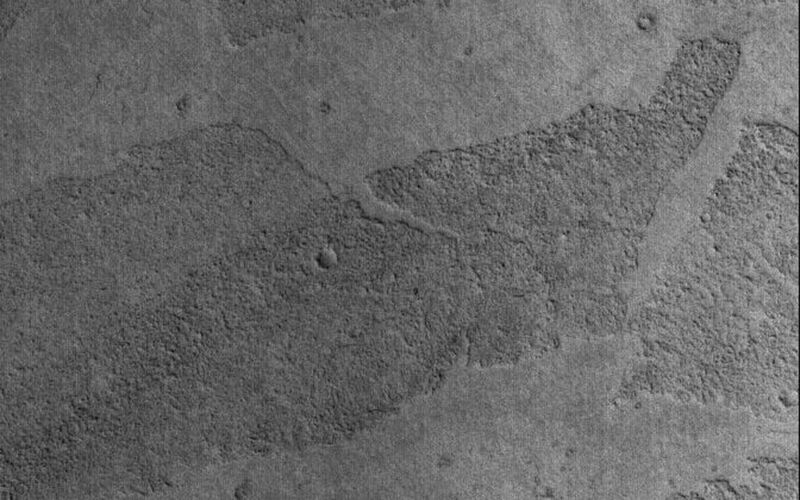 This Mars Global Surveyor (MGS) Mars Orbiter Camera (MOC) image shows platy flow surfaces in the Marte Vallis region of Mars. 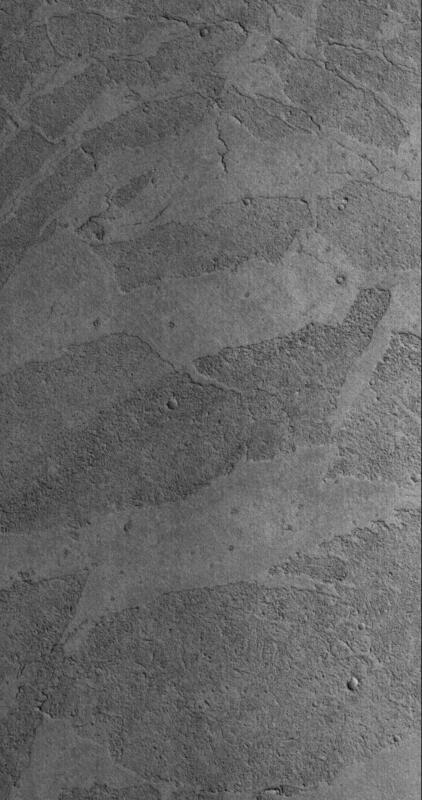 The origin of the flows is not well-understood, but as some Mars scientists have suggested, the flows may be the product of low viscosity (very fluid), high temperature volcanic eruptions, or perhaps they are the remains of large-scale mud flows. 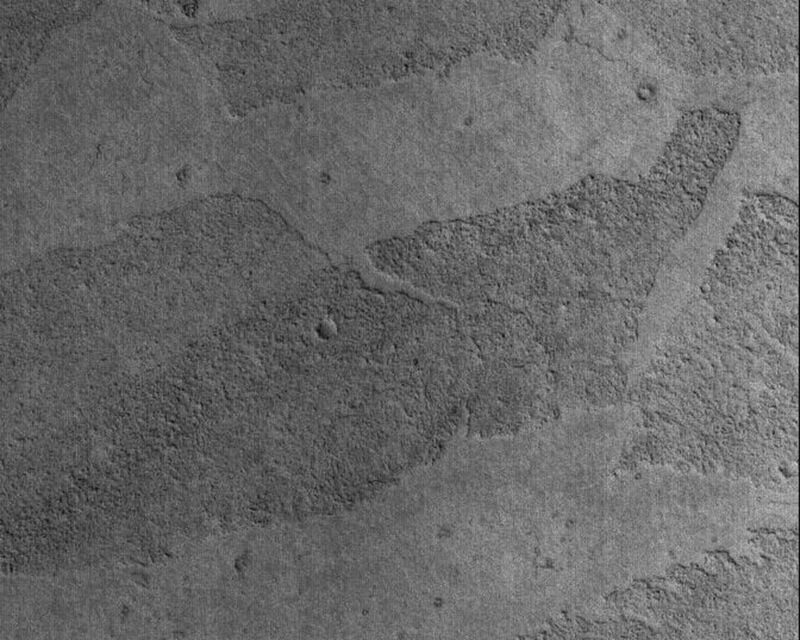 In either case, the materials are solid and hold a record of small meteor impact craters, thus indicating that they are not composed of ice, as still others have speculated.